A BIRN investigation into the Kosovo insurance industry reveals flagrant violations of the rules on compensation – and a worrying lack of regulation when it comes to companies not paying out. 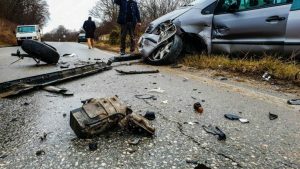 From the moment someone injured in an accident in Kosovo reaches an agreement with their insurance company about the sum they are owed, the insurer has to make the payment within 15 days. But Adem Prestreshi had a very different experience of the law. After he did not get his agreed payout, he went back to his insurance company a month later. “They said the payment had been postponed and I would get the money next month. I went back ten times for eight consecutive months, but they still said that they were facing difficulties,” he told BIRN. Prestreshi finally received his due compensation. But only after nine months – and only after BIRN started sending questions about his case to the company – and enquiring with the Central Bank of The Republic of Kosovo, CBRK, in November 2018. BIRN has found out that insurance companies in Kosovo routinely delay payments even when they have reached an agreement with the claimant. BIRN has also discovered that there is no central institution that can oblige insurance companies to pay up when they violate agreements. When out-of-court settlements between the claimants and the company break down, the injured party can only address the bank or the courts. But, under existing legislation in Kosovo, the bank has no mechanism to force insurance companies to fulfill their obligations. Injured parties cannot engage a bailiff in these cases, as happens with other cases when there is a court verdict. BIRN has also discovered that, when claimants file a lawsuit in court to claim their damages, the cases can take up to ten years to resolve. Cases are filed to court only when the claimant does not accept the compensation offered by the company. According to statistics, 32,000 legal cases dealing with accident damage compensation issues are outstanding in Kosovo. These cases are known as ‘pending’ cases and the total sum owed is estimated to be up to 80 million euros. After his car accident on November 7, 2017, as the injured party, Adem Prestreshi reached an out-of-court agreement with the Kosova e Re insurance firm. Under this agreement, signed on January 23, 2018, the company promised to pay him 1,190 euros. Car accident in Kosovo. | Photo: BIRN. But the company did not honour the agreement, violating the CBRK’s regulation, On Handling Procedures for Compensation Claims. Article 9 of this specifies the deadlines by when a company has to fulfill its obligation to insured clients. “The insurer is obliged to make the payment of the damage in accordance with the agreement with the party not later than 15 calendar days from the date of its signature,” it reads. BIRN asked Kosova e Re why it did not comply with this agreement. 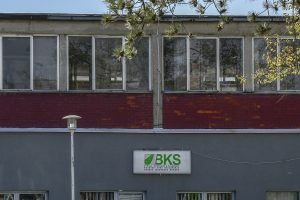 Nazlije Bejta, interim director of the Damages Department, said Prestreshi had two claims for the damage compensation, one for material damage and one for non-material damages. She said Kosova e Re was among the top three insurance companies in Kosovo in terms of paying out most material and non-material damages. “Both of his claims for damage compensation have been paid in total by the insurance company … before you sent us the email,” she said. Payment was, in fact, only made after Jeton Idrizi, Prestreshi’s lawyer, complained to the CBRK on November 9, 2018. And it was one day after BIRN contacted that CBRK that Kosova e Re made the payment. By law, the CBRK overall regulates the insurance industry. Kosovo’s Law on Compulsory Motor Liability Insurance article 37 empowers it to fine companies when it detects a violation, by 5,000 to 10,000 euros. But BIRN discovered that CBRK had failed to treat Prestreshi’s case according to the law. The first failure had to do with the answer to the complainer. The complaint must be treated and receive an answer within 15 days. Arber Istrefi, Prestreshi’s lawyer, said that CBRK did not respond as it is obliged to by law. ‘’Payment was finally executed in November – but the CBRK didn’t respond to the complaint as required. We can only guess if the company executed the payments after the remarks of the CBRK,” he said. CBRK insists that Prestreshi’s complaint was in fact treated in accordance with deadlines. “According to regulations, the deadline for addressing the complaint is within 15 days; the complaint was submitted on November 9, 2018, and the answer was given on November 20, 2018. This makes it clear that the complaint was treated within the deadline,” Kushtrim Ahmeti, public officer at CBRK, said. Central Bank of Kosovo. | Photo: Atdhe Mulla. The bank did not explain whether it fined the insurance company as per Article 37 of the Law on Compulsory Motor Insurance Liability. “CBRK may fine the insurance company from 5,000 to 10,000 euros when the insurance company does not make an offer or give justified information to the injured party within the deadlines specified within article 26 of this law,” Article 37 says. The public officer said the bank could not reveal what fines it has levied, so it is not clear if it applied this legal obligation. Under Article 27 of the insurance law, CBRK is required to reveal not just the fines it has levied but also the names of the companies it has fined and the nature of the offence. BIRN asked CBRK why it is not implementing this article, but it again refused to say whether it had fined or named the insurer. “CBRK undertakes adequate actions in accordance with infringement measures, according to our findings,” the public officer at CBRK said. The Office of the Ombudsperson has described such cases as a major violation of human rights. It has said that it receives dozens of complaints about insurance failures every year. According to CBRK statistics, the insurance industry in Kosovo is highly profitable. Some 12 licensed insurance companies operate in Kosovo. Ten handle non-life insurance policies. Two handle life insurance as well. The number of their employees varies but, from the most recent statistics, they employ over 2,000 people. Of the roughly 81 million euros a year that the insurance industry earns in income from policies it sells, it pays out only 37 million in damages. Considering the high number of pending legal cases, the number of citizens who complain to the CBRK about payment delays is low, however. 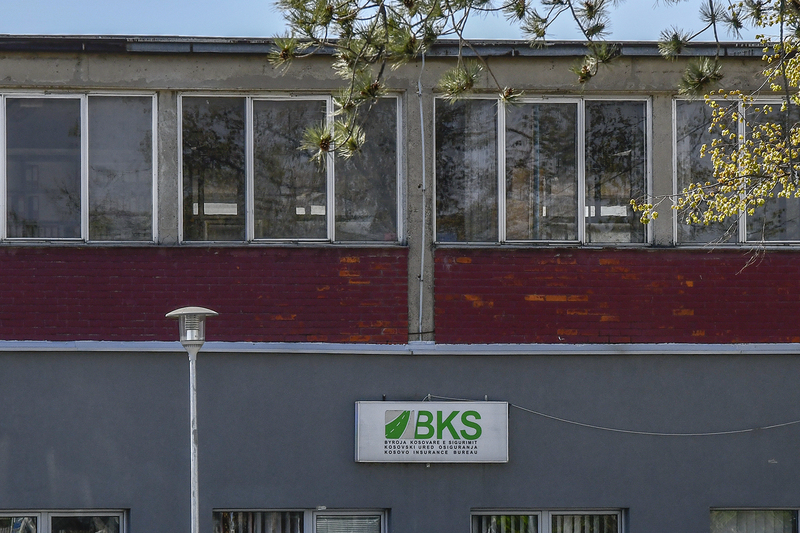 The law on the CBRK names this institution as the only authority to monitor the insurance market in Kosovo. But there is no specific department in CBRK to handle citizens’ complaints about insurance. According to the bank’s statistics, about half the estimated 500 complaints it receives a year relate to insurance companies. It said 80 per cent of these complaints concern lack of compensation for material and non-material damage, or of medical expenses. The Kosovo Insurance Bureau, KIB, says up to 96 per cent of all insurance claims end up being resolved out of court, while only 3 to 8 per cent end up in courts. Illustration for PI: Jete Dobranja/Trembelat. Cases only end in court when a claimant cannot reach an agreement with the insurance company about the amount of compensation. But these cases can take years to resolve. “Cases that end up in courts are mainly filed by the injured parties, not the KIB. The number of cases submitted was 3,600 in 2017 and 3,416 in 2018,” Gezonjeta Beqiri, administrator at the KIB, said. Agim Hoxha, Director of Damage Department at the Sigcos insurance company, says 96 per cent of the 459 insurance claims submitted in 2018 were settled out of court and just 4 per cent in court. The two other insurance companies, Sigal and Sigma, have similar data. They show around 90 per cent of their claims end up in an out-of-court agreement. Delays in the courts are the main reason why almost all claims are settled out of court. Enver Krasniqi, from Obiliq, regrets filing his lawsuit in court. After his accident in 2008, his case was stuck in court for a decade. He finally got his 5,500 euros from Insig company late in 2018. He filed his lawsuit with the Basic Court on September 18, 2008. It took five years for the court to rule on the case. Insig then appealed. It took another five years to finalize the case. Krasniqi blames “connections” between the companies and politicians. “This happens because of the connections between politics with the companies and the courts … If this case had been about 2 million euros, there would not have been so many delays,” the pensioner said. But the Court of Appeal explains such delays with the huge number of civil cases that have piled up. A backlog of 11,706 civil cases is pending. Arber Jashari, public officer at the Court, admits that there are long delays, especially in cases with compensation, which he says can often last up to four years. “These cases are not priority cases like domestic violence cases, interim measures, disputes of jurisdiction … disputes about children, family disputes, labour disputes… and so on,” Jashari said. 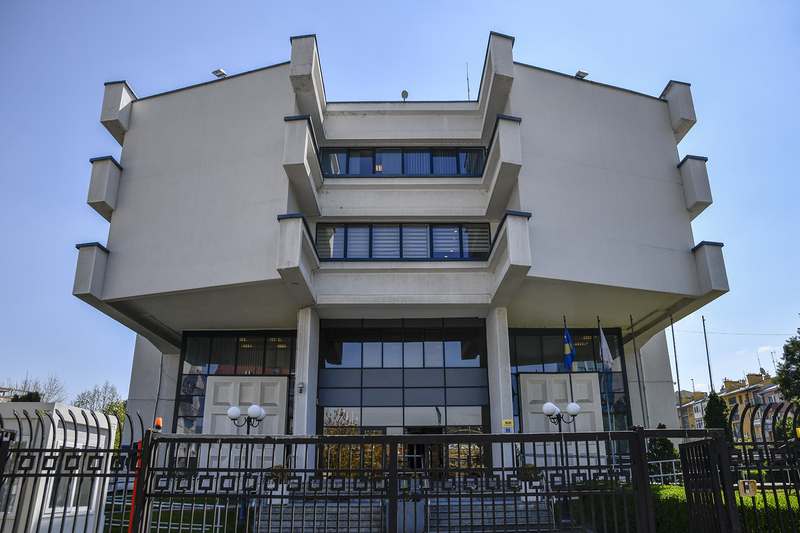 There is only one Court of Appeal in Kosovo and it receives cases from the seven Basic Courts. This makes the backlog huge, Jashari said. BIRN asked Insig to explain the long delay about the Krasniqi case but did not get an answer by the time of publication. BIRN investigated another equally lengthy ongoing case. Gentian Hila had an accident in 2008 and filed a lawsuit that year. After the Basic Court issued a decision, the case finally arrived before the Court of Appeal in 2012. In 2014, it ordered a retrial. After the case appeared back in the Basic Court, it was sent back to the Court of Appeal. There has still been no final ruling. Arben Istrefi, a lawyer, says civil cases that reappear before the Court of Appeal should be treated as urgent cases, not as regular ones. Jashari, from the Court of Appeal, said such cases do take priority when they appear before the court for the second time – but other cases have even more priority. With no less than 11,706 cases before the Court of Appeal and only 17 judges, this means 688 cases per judge. Jashari said the Court of Appeal is recruiting 10 more judges, and nine will be working on civil cases. Lawyers that deal with insurance policies criticize the CBRK regulation on determining the criteria for the assessment of non-material damages. According to Istrefi, article 11 of the bank’s regulation, which speaks about evaluating the injury of the person who has had the accident, is discriminatory. “The calculation of cases when the injury causes a reduced working ability is done only in those cases when that ability is reduced by 30 per cent as stated by a doctor,” it says. Istrefi says this threshold is arbitrary and unfair and encourages insurance companies to make low offers of compensation. This is because the criteria from the insurance companies, as approved by the Central Bank, do not allow offers to be even close to the amounts that courts would accept as injury compensation. “The other problem is the length of court proceedings. Unfortunately, there are cases when the client dies before the court process ends because this can last up to 10 years,” said Istrefi. Many cases also end up incomplete. Often the courts first require a court decision on the punishment of the driver who caused the accident. This leads to delays and so the case remains pending. Istrefi says delays also happen because the Central Bank does not honor its responsibility to check untreated cases and instruct the insurance companies to finalize the process, when such a delay is unnecessary. Besnik Nikci, an expert on the insurance industry, says the poor performance of insurance companies in Kosovo is an obstacle to the country being accepted in international mechanisms for insurance. “There is a clear difference in the treatment of claims by insurers in Kosovo compared to other countries,” he said. According to him, it gives Kosovo a bad image and deters EU insurance bureaus from supporting Kosovo to join the International Insurance Card System. Kosovo Insurance Bureau. | Photo Atdhe Mulla. “It is concerning that not only foreign insurers demands but also the mutual demands of the insurance industry are not settled in a regular procedure, for example through arbitration, and in particular in the cases of direct claims of the injured parties,” he says. Meanwhile, the case of the man who waited ten years to get compensation, and Adem Preshtreshi’s case, where the company delayed payment for nine months, are far from isolated. The case of J.K, from Kamenica, is similar. He reached an out-of-court agreement with his insurance company but the payment was still delayed for months. His lawyer has appealed to CBRK. But, according to the documents that BIRN has seen, it has not yet had an effect. Feature Illustration: Jete Dobranja/ Trembelat. This publication has been produced with the assistance of the European Union. The contents of this publication are the sole responsibility of Agon Sinanaj and can in no way be taken to reflect the views of the European Union or BIRN and AJK.